GIVEAWAY CLOSED: See New Giveaways… or Sigma 2015 Coupon Codes for free Gift & Shipping. I have some exciting news today. Sigma has been generous enough to sponsor a giveaway for Handmade Reviews. One follower will get a complete Eyes Kit (retail $45). To enter this giveaway, you must be a follower and comment with your email address and your favorite type of blog post. One entry per person. This is open internationally and ends one week from now (August 23, 2010). If you have never tried Sigma brushes, you should take some time to look up the reviews. Sigma brushes are very popular among beauty bloggers/vloggers. I find them to be an affordable dupe of MAC brushes. The Sigma brushes that I bought pick up makeup very efficiently and are better quality than Coastal Scents or other similar brushes. They are the best quality for the price. If you want MAC quality brushes without the MAC prices, you have Sigma brushes. Thank you so much Sigma for sponsoring this giveaway. The winner will be chosen at random by random.org. I will contact the winner for his/her full name and mailing address and forward that information to Sigma who will then ship the prize out. Even if you don’t want to enter this giveaway, please do me a favor and tell me what types of post you would like to see. It would really help me out. Thank you, lovelies! FTC: This giveaway is sponsored by Sigma. Sigma will ship the prize directly to the winner. I am not being compensated in any way. I am not getting paid nor am I getting anything for free. I paid for the Sigma brushes that I own by myself. Interested in Sigma Beauty? Use Sigma coupon codes for 10% off your Sigma purchase. Oh wow! This would be wonderful! Thank you for the review of them, and the giveaway! I always love to hear about products! Please enter me. i like to see reviews of different products before making my decision on whether to purchase. I am a new follower as juliecampbell and my favorite blog posts are great finds (such as the one listed) and reviews – thanks! my fave posts are FOTD! it's really intriguing to see how other people so much different from me use the same products i have, keeps me always inspired to create something new! I like seeing different styles to wear make-up to hide my tired eyes, or just fun colors. Enter me please! I follow your blog via GFC as Victoria and my favorite posts are reviews!! I like swatches and tutorials. I am a follower and I like tutorials and skincare advice. I think your blog is really great and thank you for this opportunity! Well at 43 years old im just starting to really pay attention to makeup so any advice is great especially application advice. i love most blog posts to do with any kind of beauty but my favorite would have to be hauls! i love seeing what people purchase and often gives me ideas of what to look for on the next shopping trip. I like reading reviews for skin care products. Please enter me! My favorite posts are makeup reviews with swatches. My email is jennifae at gmail dot com. I am in desperate need of new brushes… enter me, please! Good offer – can I enter please? ive never tried these brushes and hopefully i get to see what all the hype is about.. I love hauls and FOTD's. enter me please! I love reviews, they're so helpful and giveaways(:-))! my favourite blog posts to read are reviews and hauls! i like to see hauls! Enter me!! is a dream to have them! My last post didnt make sense lol. I like hauls, tags, FOTDs and general natter. My favorite blogs are reviews. I like FOTD's and EOTD's because I have just started wearing makeup and I learn from them if it is possible can you show EOTD's step by step I saw it in a few blogs and it is really helpful.Giveaway is awesome I hope I win I would love to have a brush kit. I love foundation reviews and swatches. Please enter me! I like skincare related posts. Yay for Sigma being generous ! Favorite post are makeup hauls, and swatches. reviews/swatches posts are my faves! I love reading reviews! And if you could make a post of your ALL TIME favourite products, ones you know will be a staple in your collection forever. enter me please.. thankyou very much! Enter me please 🙂 I like NOTDs and swatches. Ive never tried these everyone seems to love them! enter me too :)! I like posts about skin care products. I love makeup looks posts. Gives me ideas and inspiration. 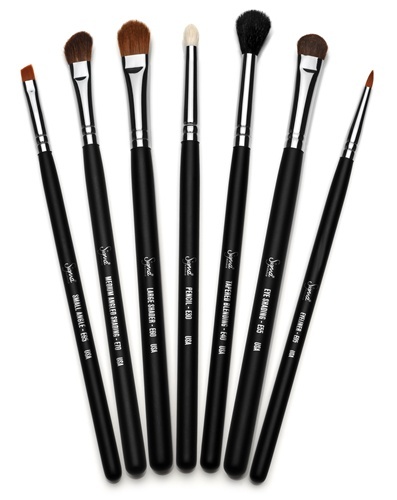 Sigma Brushes Giveaway and Coupon is a beautiful topic brushes giveaway debate for Apr 2019. I read MAC False Lashes Extreme Black Mascara (October 6, 2011) .